Muahahaha *insane laughter* I feel like a proud mother. I sold these beads earlier this month to another etsy member. Today they were reborn as a pair of elegant earrings! 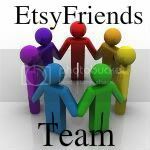 A crafter's joy is to see their craft used and enjoyed by someone else, busterandboo is certainly sending my little beads along their way. 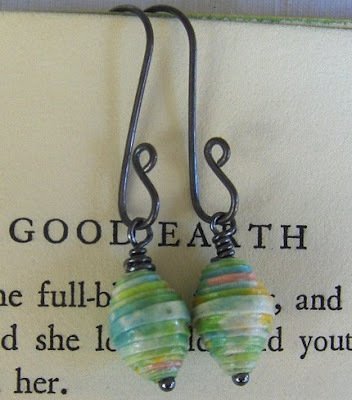 Its also a great example of how paperbeads can be used, I hope it serves as inspiration to all the crafters out there. Yes they do look wonderful! Those are some nice looking beads and she did a great job helping them be reborn. Congratulations.